Janis is Chief Legal Officer to the Pennecon Group of Companies. After graduating from Memorial University in 1991, Janis obtained her LL.B from the University of Windsor in 1994, and her LL.L from the University of Ottawa in 1995; she was admitted to the Law Society of Newfoundland and Labrador in 1996. 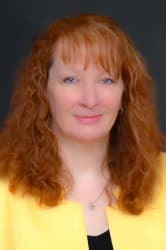 After practising with Poole Althouse in Corner Brook, NL from 1996 to 1999, Janis joined the Pennecon Group, and has been responsible for establishing and managing the legal department. Her practice is primarily corporate/ commercial and real estate. She is a past president of the Canadian Bar Association (NL Branch) and recently served on the Executive Committee of the Canadian Bar Insurance Association, a national not-for-profit corporation, which arranges for the provision of a wide range of insurance products to members of the legal community. 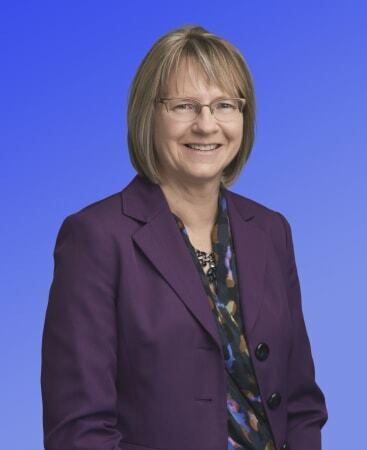 Janis served two years as a director with the St. John’s Board of Trade. She served six years on the Board of Directors for the Ches Penney Family YMCA. She was formerly a member of the Rotary Club of St. John’s East, and a Director with the St. John’s SPCA. Janis enjoys yoga, playing golf, travel, and hanging out with her partner, Steve Wedgwood, and their two dogs. Andrew has been a Director with the St. John’s Board of Trade since January of 2014. He is a Partner with the law firm, Wadden Peddigrew Hogan. Andrew graduated from Memorial University in 1997, and from Dalhousie in 2002. Andrew was recognized as Valedictorian for his graduating class from Dalhousie Law School while also receiving the HG Puddester Award for his demonstrated academic and leadership ability. 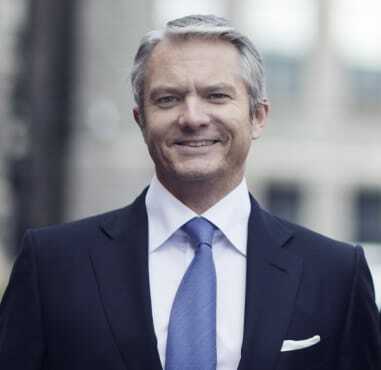 His experience spans many years having worked as an associate in one of the region’s largest firms, as in-house counsel for a large insurance company, and now as a founding partner of Wadden Peddigrew Hogan. In the community Andrew has played an active role in the Royal St. John’s Regatta as both a rower, and Committee member. He has also been a member of the Boards of Holy Heart of Mary Theatre, and Big Brothers Big Sisters. He has chaired the Alternative Dispute Resolution Section (NL) for the Canadian Bar Association. 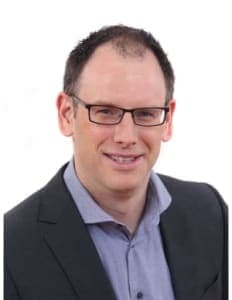 In addition, Andrew has taught at Memorial University in the faculty of Human Kinetics and Recreation, and the faculty of Business Administration, on the legal aspects of recreation and risk management, and business and the law in Canada. In 2014, Andrew was awarded the Rotary St. John’s Northwest Aidan Maloney Young Professionals Award (an award aimed at recognizing two young professionals, aged 25-40 years, who are doing great work in their community and who have potential to positively impact their vocations and communities in the future). Justin has spent his career in residential and commercial real estate development, sales, financing and management. 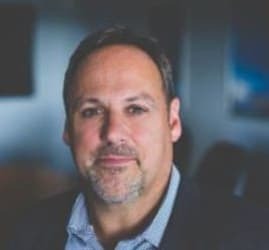 As CEO of KMK Capital Inc., based in St. John’s, he holds responsibility for all such areas within the KMK group of companies, with a focus on business development. In addition to real estate development, Justin is active in the management of KMK’s engineering and property management firms. As well as his KMK-related directorships, Justin serves on the Board of Directors for Nalcor Oil and Gas and is an advisor for other not-for-profit entities. Justin holds a Bachelor of Commerce Degree from Memorial University of Newfoundland and is a licensed Realtor. Norm is Vice President, Corporate Services for Emera Newfoundland & Labrador (Emera NL), a subsidiary of Emera Inc. (EMA:TSX). Norm is responsible for corporate business relations and operational readiness of the Maritime Link Project, one of the most transformative High-voltage electrical interconnection projects currently being developed in Atlantic Canada. Prior to joining ENL Norm’s career included a number of leadership, management, & strategic roles for Noble Denton, GL Noble Denton, and DNV GL’s Oil and Gas division spanning almost 20 years. Having a love for all things outdoors, Norm is a past president of the Canadian Ski Patrol Terra Nova Zone. He is also a past board member of the International Association of Marine Warranty Surveyors and is currently an acting warden for Iron Ring Camp 20 for Corporation of the Seven Wardens Inc. Norm holds a Bachelor of Engineering in Ocean and Naval Architectural Engineering from Memorial University and is a Registered Professional Engineer in Newfoundland and Labrador. Jennifer leads the audit practice for KPMG in St. John’s, Newfoundland and Labrador. She has over 25 years of professional experience providing audit and related services to the public sector, not-for-profit organizations and charities, as well as public companies and privately-owned commercial clients. 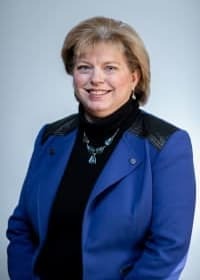 Throughout her career, she has managed large multi-disciplinary audit teams and she is actively involved with clients in each of the various accounting frameworks including: Public Sector Reporting with and without the Section 4200 option, Accounting Standards for Not-for-profit organizations, Accounting Standards for Pension Plans, International Financial Reporting Standards, and Accounting Standards for Private Enterprise. Jennifer is a member of KPMG’s National Not-for-Profit and Public Sector Industry Groups which meet regularly to discuss relevant issues and current topics potentially impacting our clients. Andrea Stack is the lead Investment Advisor and Portfolio Manager with The Stack Team at CIBC Wood Gundy. She helps her clients navigate the complexities of managing wealth and works with them to provide financial, investment and estate plans tailored to their individual needs. After completing her Bachelor of Commerce degree Andrea worked in Toronto for a few years in the investment industry before deciding to return home to Newfoundland. She completed her MBA at Memorial University and started work as an Investment Advisor in 2000. She is a Fellow of the Canadian Securities Institute having completed her Canadian Investment Manager and Certified International Wealth Manager Designations. She has also completed the Chartered Life Underwriter (CLU) and Certified Financial Planner (CFP) designations. Volunteering and community service are important to Andrea. 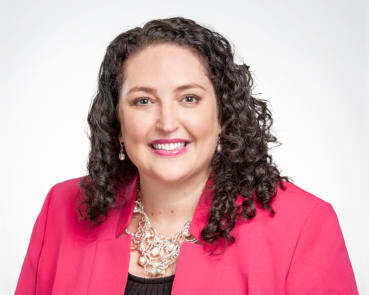 She is the 2018 Chair of the St. John’s Board of Trade, a board member for the Dr. H. Bliss Murphy Cancer Care Foundation, and an advisory board member for Memorial University’s School of Business. Andrea is also an active member of the Rotary Club of St. John’s Northwest, serving as Club President in 2010-2011, and is a recipient of a Paul Harris Fellow, given by Rotary in recognition for her outstanding service. She has served on various charitable boards and committees over the years and is active in the many fundraising initiatives undertaken by CIBC Wood Gundy such as Children’s Miracle Day. Nancy Healey is the Chief Executive Officer of the St, John’s Board of Trade a position she has held for the past 11 years. In this capacity Nancy works with a dedicated group of staff and volunteers to help business succeed. The Board is known for its advocacy work at the municipal, provincial and federal level. As well, as for hosting stellar events like the Business Excellence Awards, the Business Outlook Conference and Trade Show. Prior to returning to the Board in 2008, Nancy was the Executive Director of the Tourism Industry Association. As well, she has worked as a government relations and public relations consultant. Nancy recently completed the Director’s Education Program from the Rotman School of Business and has achieved the designation of ICD.D. Nancy was recently awarded the Chamber Executive of the Year from her peers in the Chamber of Commerce movement. Nancy is the Chair of the Board of St. Bonaventure’s College, a private catholic school in the Jesuit Tradition. She is an Aide de Camp to Her Honour Lieutenant Governor Judy Foote. She serves on the Board of Directors of the Newfoundland and Labrador Credit Union, and is a Member of the Newfoundland and Labrador Chapter of the Canadian Forces Liaison Council, a member of the International Women’s Forum and a Past President of the Chamber of Commerce Executives of Canada and a past Director of the Canadian Chamber of Commerce. Nancy is an avid hockey fan and lives in hopes of her team (the Toronto Maple Leafs) winning the Stanley Cup once again in her lifetime. In addition, she plays hockey every Friday night and has done so for the past 20 years. Kevin graduated with a blistering 67% average from Memorial University of NL with a Bachelor of Commerce in 1992. Upon graduation he smartened up and spent six years with M5 Advertising followed by four years as Director of Marketing and Sales with Labatt Breweries (Atlantic Canada). In late 2001, Kevin Co-founded the IDEA Factory with Ed Roche. Together, with their team, their agency has been named Progress Marketer of the Year, received the Business Excellence Award from the St. John’s Board of trade and in 2011 Kevin was named as one of the Top 50 CEO’s in Atlantic Canada. In April 2016, Kevin decided to step away from his day-to-day role with the IDEA Factory and joined Cal LeGrow as Senior Vice-President of Sales and Marketing as they embarked on a growth strategy in Atlantic Canada. In September 2018, Jeff LeGrow and Rod Vatcher welcomed Kevin as the newest shareholder and partner with Cal LeGrow. He is a Paul Harris Fellowship award winner from Rotary International, has kissed Richard Simmons all in the name of raising money for breast cancer and through the Toy Factory has helped donated almost $500,000 to much needed causes in Newfoundland and Labrador. His passion for community investment is now fuelled by the Cal LeGrow Foundation with a plan to raise $1,000,000 (the current scoreboard is $260,000 and growing). He lives in St. John’s with his wife Linda and daughter Olivia and when he isn’t driving sales and marketing agenda’s you’ll find him somewhere near a tennis court biting his nails watching Olivia compete in a sport he failed miserably as a kid and continues to fail at as an adult. Heather is the founder and director of leadership Matters Inc., an executive coaching and consulting firm focused on executive coaching, top team development, change management and facilitation. She has guided the development of senior leaders, teams, mid-career professionals and organizations, in the private, public and not-for-profits sectors -working with them from a basic needs perspective up to the most progressive with sophisticated requirements. Heather is passionate about supporting individuals, teams and organizations through leadership learning and organizational change. 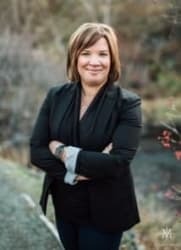 Heather holds a Bachelor of Business Administration from St. Francis Xavier University, a Masters of Education (Post-Secondary) from Memorial University and is a graduate of Royal Roads University as a Certified Executive Coach. She is an active board member of the International Coach Federation Atlantic Chapter and the Alternative Dispute Resolution Atlantic Institution, holds a change management consultant designation with ProSci Canada, as well as consultant and facilitation certifications in the areas of leadership, communications, top team development, psychometric assessments, intercultural diversity and mental wellness. In addition to her role with leadership Matters Inc., Heather’s career with Memorial University brings over 16 years of experience in leadership roles with a focus on organizational development, and results-focused strategic planning within post-secondary administration. She teaches the Communications and Conflict Management course for the Marine Studies Master’s Program at the Fisheries and Marine Institute of Memorial University, and leadership and communications courses with the University of Manitoba’s Centre of Higher Education Research and Development. Heather is an engaged member of many provincial, national and international associations, committees and boards including the International Coach Federation, the Canadian Association for University Continuing Education, the Atlantic Universities and Colleges Human Resources Association and the Canadian Association of University Business Officers. Heather lives in St. John’s with her husband and three children. Is the principal of Feltham & Associates, Chartered Professional Accountants, and has over 25 years of experience in audit, accounting and taxation, systems design, and business management at a senior level. 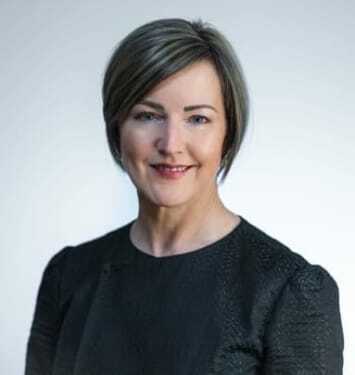 She is committed to working with the business community in our region and has developed a connection with businesspersons and professionals across the province and beyond in serving on the boards of the Chartered Professional Accountants Association of NL (treasurer to chair, 2015 – 2018), Atlantic Canada Chamber of Commerce Board (treasurer to Chair 2013 – 2017), Canadian Chamber of Commerce (2016-2017), Mount Pearl Paradise Chamber of Commerce (treasurer to Chair 2008 – 2013) and the Certified General Accountants Association of NL (Chair 2011-2012 and 2007-2008). She has also participated in the taxation and finance committee and other advocacy roles with the St. John’s Board of Trade since 2006. In her continued commitment to her profession, Debra has served as Chair of the CGA Canada (CGAC) National Professional Standards Committee and as a member of the Code of Ethics and Rules of Conduct workgroup. She continues to serve on the Public Practice Professional Engagement Guide committee of CPA Canada as well as a member of the CPA Canada Magazine Editorial Board. In 2007, Debra was awarded her FCGA (Fellowship) designation for her outstanding contributions to the profession. And in 2012, Debra received the Entrepreneur of the Year Award from NLOWE in two categories including “Visionary” and “Innovation” for her use of technology and innovation in providing service to clients across Canada. Debra is passionate about the local business community and its contribution to, and interaction with all levels of government and within the Newfoundland economy. A proud native of St. John’s, LeighAnne is a proven leader with over 15 years progressive experience in non-profit and government. As General Manager of the Royal St. John’s Regatta, LeighAnne helps foster growth and expansion of the organization. Major initiatives in which she played an integral role include the creation of an inclusive Regatta for patrons and a health and wellness program for the athletes. Business Advisor, Travel Designer, Event Planner, Marketing and Communications Coordinator, Project Manager and Executive Assistant to a Provincial Cabinet Minister are just some of the many positions she has held along her career path. In addition, LeighAnne’s volunteer life has played an important part in her career development. Volunteer roles such as Vice-President of the St. John’s Choir, Chairperson of the Provincial Volunteer Week Committee, Marketing and Communications Director with the Frosty Festival, and Leader with Girl Guides of Canada have provided her with invaluable experience which she brings forth in her daily life. In addition, LeighAnne’s personal experience of losing over 300 pounds has inspired her to create “The Inspiration Project, where she uses her own life experiences to guide and empower others to be the best version of themselves and to provide support through positivity and humour. When not at Quidi Vidi Lake, LeighAnne can often be found in her home office; curating unique travel experiences for her clients as a travel agent with Once in a Lifetime Travel, spending quality time with her family and friends or relaxing with a good book. A serial recruiter, community builder, and self-proclaimed “Newfoundlander by Choice”, Alex is committed deeply to championing diversity through leadership and within the workplace. Graduating from MUN, Alex has lived and breathed the recruiting world for more than 5 years. His career began with Knightsbridge Robertson Surrette, followed by Group zed (zedIT Solutions), and he is currently with SNC Lavalin where he is steering the talent drive for major projects within the province. As an active volunteer with Ronald McDonald House, The Gathering Place, and Easter Seals, Alex gives his time to multiple non-profit boards and community organizations. The SJBOT has been a catalyst for his career and in helping with many networking opportunities. Over the past 3 years Alex has served as an Ambassador on the board, along with sitting on the labour market and member value committees. 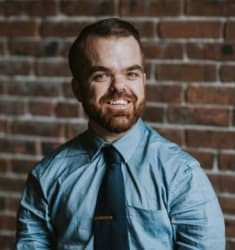 Alex has served a term as the Chair to the St. John’s Board of Trade’s Ambassador team, where he has helped grow Gen YYT (the under 40 professional networking initiative) and spearheaded multiple volunteering drives with the team. 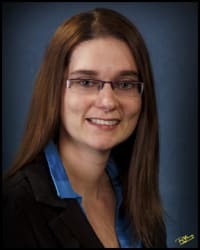 Joanne has worked with Altus Group since graduating from Memorial University of Newfoundland with a joint Bachelor of Commerce and Bachelor of Arts in 2004. During her time with Altus she has traveled extensively, completing large consulting assignments in British Columbia and Alberta as well as throughout Newfoundland and central Labrador. Joanne also worked for a period of time in Toronto, Ontario working on analysis of large office towers and complexes. She has experience in valuing a large range of commercial properties including multi-residential, residential condominium, industrial developments, remote fishing lodges, airport facilities, golf course communities and ski hill developments. Joanne has also completing a number of consulting and market research studies was well as provided expert testimony for mediation panels and assessment appeal court. In 2016 Joanne was awarded the Top Appraiser under 40 in Canada by the Appraisal Institute of Canada. Glenn is a management consultant. His previous work experience spans the private and public sectors: CEO of the Research and Development Corporation, worked for Imperial Innovations in London, England, Hi-Point Industries in Grand Falls and Genesis Organic in Corner Brook. Glenn holds a degree in Chemistry from Yale University, an MSc in Environmental Management from Oxford University and an MBA from Oxford University. Both Oxford degrees were completed as a Rhodes Scholar. He is a chartered director and have completed certifications from both the Institute for Chartered Directors and the Director’s College. He serves on several Boards including Genoa Design International, the Rhodes Trust in NL and the Institute for Chartered Directors NL Chapter, and volunteers on the Vanier Elementary School Council. Douglas graduated from Queen’s University with the degree of LL.B. (1998) and has an LL.M. from the University of Ottawa (2001). 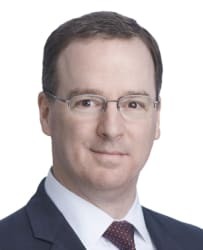 He practiced corporate and commercial law at the Ottawa office of a national law firm until retuning to St. John’s in 2002, practising at Patterson Palmer (now Cox & Palmer) since that time. In his tax practice, Douglas advises businesses, individuals, estate representatives, non-profit organizations and registered charities on matters of federal, provincial and municipal taxation including taxpayer objections and appeals under the Income Tax Act (Canada) and the Excise Tax Act (Canada) as well as under provincial tax legislation. 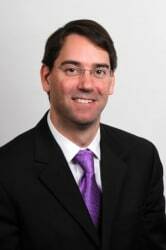 Douglas is an elected bencher of the Law Society of Newfoundland and Labrador and has been an instructor in the Bar Admission Course of the Law Society of Newfoundland and Labrador for more than 10 years. 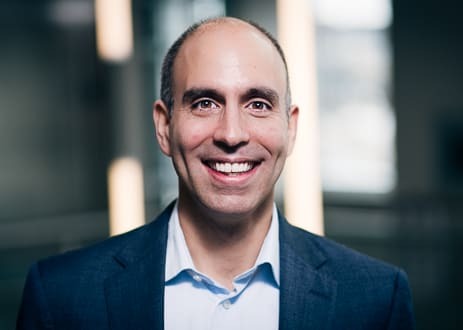 He is an active member of the Canadian Tax Foundation and was a member of the organizing committee for the Foundation’s biennial St. John’s Tax Conferences in 2014, 2016 and 2018.